It’s rare to see a band hold true to their identity throughout five studio albums. Especially so after multiple member changes. After a year of writing and recording new material, Memphis May Fire is back with their latest album, This Light I Hold, and they’ve stayed just as true to who they are since their debut release, Sleepwalking, almost eight years ago. Featuring guest vocals from Jacoby Shaddix of Papa Roach and Larry Soliman of My American Heart, fans can expect the signature sound of Memphis May Fire for yet another polished album. With flawless musicianship and outstanding production, musically, Memphis May Fire always brushes up next to excellence, and this album is no exception. However, while the band stays true to their quality sound, they remain thin lyrically. Vocalist and lyricist Matty Mullins holds his audience at a distance with a lack of imagery and specific story elements in his songwriting. His vocal performance is stronger than ever, bringing his dynamic flair as he has in the past, making up for content that fell slightly by the wayside. There’s a good amount of passion and angst boiling in the undercurrent of each song, undeniable in the stellar guitar riffs, penned by original member Kellen McGregor, and Mullins’ vast vocal range. The aggressive rhythmic changes in songs like “Out of It” show that Memphis May Fire still holds their place at the top of the metalcore food chain. Tracks like “Wanting More” also show off individual chops, between the tasteful drum fills and solid, steady bass that drive the listener’s attention right where it needs to be once the breakdown hits. The band’s musical strength, though, is overshadowed in songs like “That’s Just Life” with lyrics that string together one cliché after another. Each song on the record follows the same general narrative, with no specific storyline to distinguish them. Vague lines — like “What will my story be? Did I tell it with my whole heart?” and “Keep pushing forward” — leave the audience aching for metaphor, poetic device, anything to motivate creative listening. The broad lyrics make for universal songs but sacrifice the personal touch Memphis May Fire fans have grown to value. 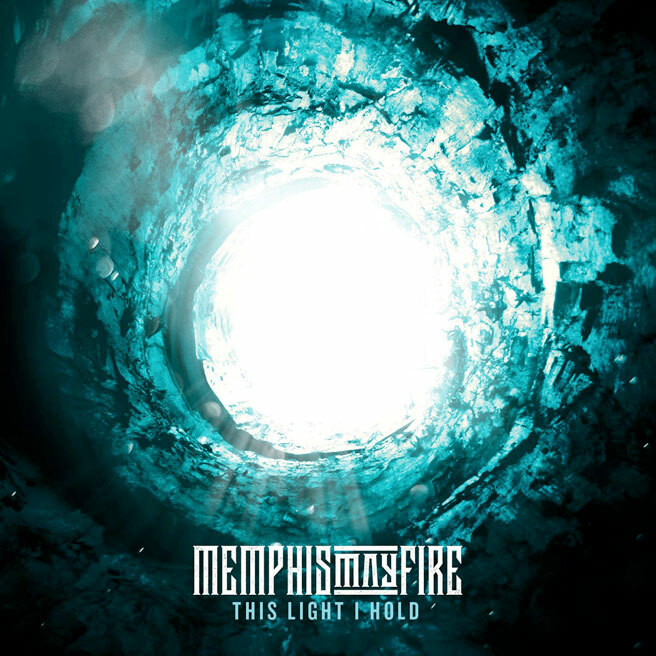 Regardless, it’s safe to say Memphis May Fire has only gained more traction with This Light I Hold. It remains true to the band’s character and is consistent with their message and sound. The band is sure to pack out venues around the world as they have been, consistently delivering high-quality material and professional releases. Memphis May Fire isn’t slowing down any time soon, and TLIH won’t change any of that.